We have taken successful cases for immigration detainees concerning the legality of their detention including in particular, the manner in which the Immigration & Nationality Service screens detainees in respect of their medical and other needs. Bhatt Murphy represented Medical Justice and two women in a successful challenge to the Home Office’s policy on detaining vulnerable immigration detainees. The ruling found that the Home Office narrowing the definition of torture in its flag-ship policy lacked “rational or evidence base” and was unlawful. A lesbian asylum seeker (now refugee) who was detained under immigration powers for over five months was released and received substantial damages having settled her claim for unlawful detention. JAX, whose identity is protected by a court order, had fled persecution in Uganda on the basis of her sexuality. In a judicial review she challenged the SSHD decision to detain her despite independent evidence of torture and the systemic failure of the Rule 35 processes at Yarl’s Wood IRC. On 12 April 2016 the House of Lords voted to end the immigration detention of pregnant women. The vote follows a successful test claim by PA, who challenged the detention she suffered when she was five months pregnant. As a result of PA's shocking case the Home Office agreed to review its policy on detaining pregnant women. In a judgment handed down on 16 February, 2016 the Administrative Court held that those detained under immigration powers who lack mental capacity face a systemic risk of unfairness, as no provision is made for those without legal representation to be provided with assistance in making representations in response to decisions to detain, and other decisions affecting conditions of detention. Following a successful appeal to the Information Rights Tribunal, the Home Office disclosed the report of an investigation into the restraint of a dying immigration detainee. The appeal was brought by Medical Justice. The report showed that the deceased was handcuffed and chained in hospital until shortly before he died. The court found that a woman who developed severe mental illness as a result of immigration detention at Yarl’s Wood was unlawfully detained over a near 11 month period. The conditions she was detained in, which included frequent segregation and use of restraint by male guards, were inhuman and degrading in breach of article 3 ECHR. The Home Office detained K, a political refugee who had experienced torture in Cameroon, under immigration powers in the detained fast track process at Harmondsworth and then pending removal from 19 October 2012 until 5 February 2013. He challenged his detention on the basis that the decision to fast track his asylum case was irrational and unlawful. In a confidential settlement the Home Office paid substantial damages and costs. Mr Justice Blake declared that the detention of three victims of human trafficking in the Immigration Detained Fast Track (“DFT”) breached Article 4 of the European Convention on Human Rights (the right to be free from enforced labour and servitude) and that in operating the DFT the Home Secretary did not fully comply with her duties under the Equality Act 2010. This test litigation was linked to the “HBF” cases culminating in the Immigration Minister being forced to suspend the DFT on 2 July 2015. The Court also declared that the Home Secretary failed to comply with her duties under section 149 Equality Act in the operation of the DFT. As a result of this litigation the Home Secretary agreed as part of her review of the DFT to comply with her obligations to prevent discriminatory treatment. The Court of Appeal handed down judgement which provides important guidance about the circumstances in which holding immigration detainees in the prison estate may become unlawful. The Court of Appeal provided important guidance on the SSHD’s policy that those with serious mental illness which cannot be satisfactorily managed in detention should not normally be detained. The policy should not be subject to fine analysis and interpreted like a statute. The threshold for the policy being engaged was not whether the mental disorder was at a level that in-patient treatment was required. It must be serious to mean that it cannot be satisfactorily managed in detention. In assessing whether the illness can be satisfactorily managed in detention the SSHD should have regard to the medication a person is taking, whether her demonstrated needs can be met, the facilities at the detention centre and the expected period of detention before removal. Where the policy applies, there is a high hurdle to overcome to justify detention: liability to be removed and refusal to leave voluntarily will not be enough and detention cannot be justified to keep a person safe or in order to provide medical treatment. The case is one of considerable importance to the law on immigration detention. It concerns whether the legal limits to immigration detention established in the cases of R v Governor of Durham Prison, ex parte Hardial Singh and R (Lumba) v Secretary of State for the Home Department apply to detention which is authorised under paragraph 2(1) of Schedule 3 to the Immigration Act 1971. The Court of Appeal dismissed arguments by the Home Secretary that detainees recommended for deportation should be prevented from claiming false imprisonment when they were detained in contravention of the Hardial Singh principles. The court ordered the release of a mentally ill man from Harmondsworth immigration removal centre who had been refusing nutrition for a prolonged period of time and was assessed by doctors at the centre unfit for detention. He had reached a critical condition and his continued detention was contrary to the Secretary of State’s policy that people with serious medical conditions should only be detained very exceptionally. A pregnant woman and three children brought judicial review proceedings against the Secretary of State alleging that the absence of a policy on the use of force on pregnant women and children during enforced removal was unlawful, including on the basis that there were unacceptable risks of their article 3 and 8 ECHR rights being breached. A judge granted an interim injunction prohibiting the use of force against the four claimants during removal except where necessary to prevent harm. The claimants applied to widen the injunction, and the day before the hearing the Secretary of State conceded that the absence of policy was unlawful and reinstated a previous policy, pending further consultation, which prohibits the use of force on these groups except where absolutely necessary to prevent harm. A high court judge refused an application made by the Home Office to amend a Defence to include an abuse of process argument on the basis that the claimant should have raised the issue of his detention in earlier judicial review proceedings. The argument had no realistic prospect at trial because the earlier judicial review claim had been filed without the benefit of legal advice and had been discontinued without being considered by a judge. A case taken on when the claimant, a survivor of the Rwandan genocide, was in immigration detention facing imminent removal. In response to the litigation, the Secretary of State released him and then granted leave to remain. The court found he was unlawfully detained because his detention had been contrary to the Secretary of State’s policy on the detention of the mentally ill. The court also found that the claimant’s detention was contrary to his rights under article 5 and 8 ECHR. The court found that a severely mentally ill man had been unlawfully detained over two periods when he was held in immigration detention contrary to medical advice. In the first period he had been held in solitary confinement and had been assessed as unfit for detention and requiring urgent admission to hospital under the Mental Health Act. In the second period, after he had received in-patient treatment in hospital, he was detained contrary to advice from a psychiatrist that he could not receive the treatment he required. The court also found that the conditions he was detained in constituted degrading treatment contrary to article 3 ECHR and declared that changes to the Secretary of State’s policy on the detention of the mentally ill were unlawful because they were introduced without consultation in breach of race and disability equality duties. This case concerned the jurisdiction of statutory agencies to investigate complaints, in a manner compliant with the investigative obligation under article 3 ECHR, made by an Iranian national who alleged that he was ill-treated by escorts and Iraqi agents during an enforced removal to Baghdad in Iraq. The Court of Appeal found that the claimant, whose nationality was unclear (the authorities of three different countries having refused to acknowledge that he was one of theirs) was unlawfully detained for a six month period. He had already been detained for 16 months, he had applied to revoke his deportation order and this, as well as the difficulties in establishing his nationality, meant that there was an insufficient prospect of removing him within a reasonable period of time to justify continued detention. The Home Office were found to have falsely imprisoned a Zimbabwean man detained under immigration powers over a 13 month period between November 2007 and January 2009. The court found that from May 2008 there was no realistic prospect of removing him due to official Government policy to suspend removals because of the violence and dire humanitarian conditions in Zimbabwe following the elections in March 2008. The court found that a severely mentally ill man detained under immigration powers was unlawfully detained for 3 ½ months and subjected to inhuman and degrading treatment in breach of article 3 ECHR (only the second time a court had made such a finding in relation to conditions of immigration detention). Transfer to hospital under the Mental Health Act and release were achieved by way of interim relief. The court ruled that the detention of an Algerian national pending deportation for four years and 11 months was unlawful from the outset. It should have been apparent to the Secretary of State that there was an insufficient prospect of deportation to justify detention. It is thought that this was one of the longest periods of immigration detention outside of the national security context. The court found that a severely mentally ill man detained under immigration powers was unlawfully detained for 5 months. It also found that the conditions he was detained in at Harmondsworth IRC constituted inhuman and degrading treatment (the first time a UK court found conditions of immigration detention to breach article 3). Transfer to hospital under the Mental Health Act and release were achieved by way of interim relief. A mother was detained pending deportation and she and her children challenged her detention in judicial review proceedings. The court held that in deciding whether to apply the automatic deportation provisions, the Home Office and the tribunal were required first consider the best interests of any children affected as a primary consideration. The court found that the mother had been unlawfully detained because it should have been apparent to the Secretary of State that she could not be deported until a parenting assessment had taken place which required her release from detention. A mother separated from her children was unlawfully detained because the Home Office should have released her after a judge had ordered reconsideration of her appeal against deportation. The Home Office’s failure to apply its policies also meant that her rights under articles 5 and 8 ECHR were breached. The Home Office and immigration judges considering applications for bail were required to have regard to the best interests of children as a primary consideration. The immigration detention of an Iraqi national in order to investigate whether he could be transferred to the custody of the Iraqi authorities was unlawful. The statutory immigration powers were to be narrowly construed and could only be used for the purpose of effecting and enforced removal from the UK. The court found that the detention of a severely mentally ill suicidal man over nine month period was unlawful because it was contrary to the Home Office’s policy that the mentally ill should only be detained in very exceptional circumstances. Immigration detention cannot be used to protect a person from a risk of self harm or suicide. The court found that a victim of torture had been unlawfully detained for a period of about one month and awarded basic compensation of £12,500, compensation for psychiatric injury of £10,000, aggravated damages of £10,000 and exemplary damages of £25,000. The continued detention pending deportation of a Somali national, who had already been detained for 30 months, was unlawful as the totality of the period of detention would be unreasonable, because it was apparent that any deportation could not be effected until the resolution of various legal proceedings, which would take a further 24 months. The Administrative Court found referring age dispute cases for criminal prosecution without determination as to age is unlawful. The Secretary of State had operated an unlawful practice of referring individuals to the CPS as adults for a criminal offence under section 2 Asylum (Treatment of Claimants) Act in circumstances where the UKBA had conducted a cursory age assessment of the individual. It was found that there was an accepted and prolonged failure on the part of the Home Office and the private company responsible for the management of Oakington detention centre to comply with the requirement of the Detention Centre Rules to ensure all detainees had a medical assessment within 24 hours of their arrival in detention. This systemic failure gave rise to a claim for unlawful detention on the part of the two claimants on the basis that had such assessments taken place they would have led to a report which would in turn have constituted independent evidence of torture. Had such a report been made Home Office policy prohibiting the detention of those with evidence of torture would then have required their release from the fast track and detention. This case clarified that where a migrant has been detained under immigration legislation s/he has an entitlement to bring a private law action for false imprisonment on the basis that the detention was in breach of public law duties, including that it was unreasonable and/or in breach of policy. Substantial settlement obtained for the Claimant for a detention under Immigration Act powers following the conclusion of a criminal sentence where no steps were taken to deport him. A writ of habeas corpus was granted in this case ordering the release of the Claimant who had been on bail and was detained without access to the Court when her removal became imminent. The order made was for damages to be assessed if not agreed for the unlawful detention. The Claimant was released from detention following an application for habeas corpus. The Defendant accepted that the Claimant had been unlawfully detained and that damages should be assessed if not agreed. Settlement of £5,250 for a claim in false imprisonment and breach of the Race Relations Act for a six hour detention on suspicion of being an overstayer when the Claimant attended the police station to report his Nigerian passport lost and provided the arresting officer with proof of his lawful status in the UK. 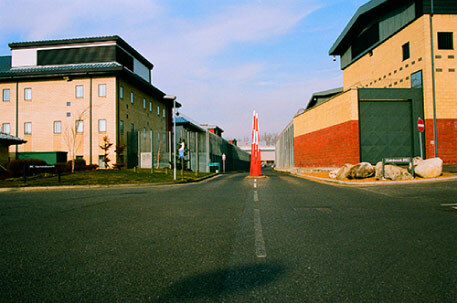 A settlement was obtained on behalf of number of detainees regarding their treatment and the conditions of their detention following the fire at Yarl’s Wood in 2002, the terms of which are confidential. A settlement of £15,000 damages was obtained in an action involving a challenge to the Home Office policy of detention of Zimbabwean asylum seekers following the suspension of removals to Zimbabwe in January 2002. Settlement reached in the sum of £16,000 in a damages action by a refugee whose detention was continued after a significant change in the strength of his asylum claim. Immigration Act detainee awarded £17,500 compensation for a period of three months unlawful imprisonment following several months lawful detention. A case where there was a failure by Home Office to review detention in light of change of relevant facts. Pre issue settlement of £30,000 after liability admitted of a 69 days unlawful detention and 2 attempted unlawful removals. Settlement of £10,000 for a 6 day detention of an asylum seeker on the erroneous basis that removal was imminent when in fact an appeal had been lodged and was still outstanding. £15,000 settlement where an HIV positive mother was detained with her very young child for 1 day. A separate settlement was made for the child the terms of which are confidential. A settlement of £7,500 was reached for detention followed by an unlawful removal. In this case the Home Office failed to maintain accurate records regarding the asylum claim of a wife and her dependant husband. £12,500 settlement was reached for their claims for false imprisonment, breaches the Data Protection Act, and in breach of articles 5 and 8. Claim for Polish Romany client for false imprisonment and breach of human rights arising from her imprisonment and removal from the UK whilst she had an outstanding human rights claim. Settlement reached for £13,000. Claim for Kosovan client for false imprisonment and breach of human rights arising from his imprisonment and removal from the UK whilst he had an outstanding human rights claim. Settlement reached at £13,000. Admission of liability by the Home Office for the arrest and detention of an asylum seeker who had outstanding appeal rights in the UK. Setting aside a conviction and assessment of damages of £30,000 by the assessor where I had served 46 days for his wrongful conviction for possession of a false passport, the prosecution being in breach of the UN Convention regarding treatment of those seeking asylum. Significant settlement reached in this case for 3 months detention following a lengthy period of lawful detention. Three judicial reviews of the SSHD brought under Article 6 (the right to fair trial) amongst other grounds, finally leading to the SSHD granting the Claimant Exceptional Leave to Enter in order to remain in the UK to pursue litigation.